I’m happiest when I follow my nose, just doing whatever feels right at the moment. So it shouldn’t be a surprise that I finally shot this Olympus OM-1 after owning it for four years: it felt like it was finally time. This OM-1 is the backup body to a silver-topped OM-1 that my friend Alice gave me. I shot that other OM-1 almost immediately upon receiving it. In those days, my aim was to collect rangefinder cameras. 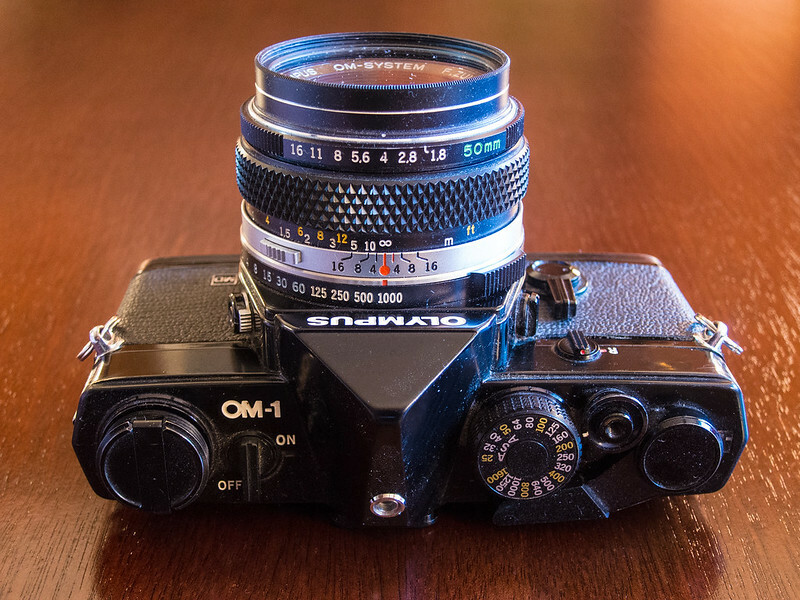 This OM-1 donation changed my course: I discovered that I was born to shoot 35mm SLRs. I bought more and more of them; I lost count long ago of how many I own. I wondered how I’d experience the OM-1 now, as a fairly experienced 35mm SLR shooter. So I got out this black body and loaded some Fujicolor 200 to find out. It’s hard to overestimate what an impression this camera made upon its 1972 introduction. 35mm SLRs had always been big and heavy. 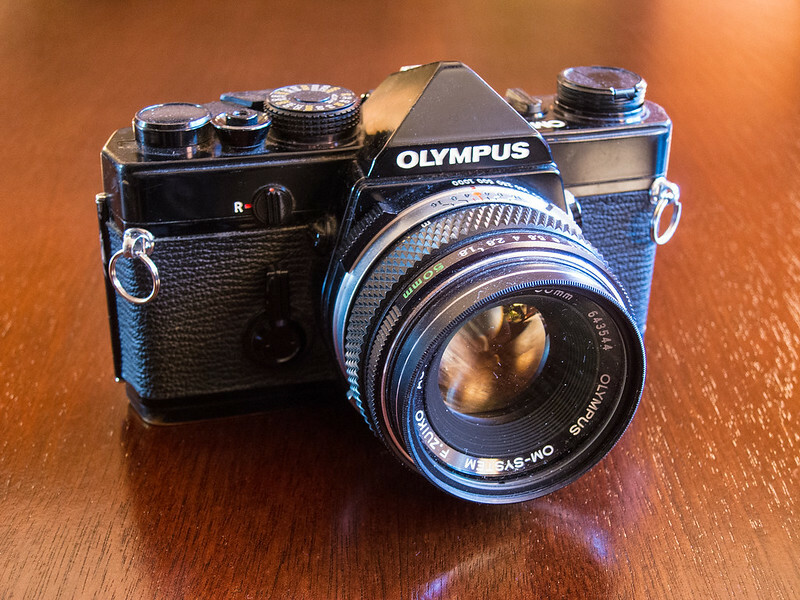 Olympus decided to shrink the SLR, and the OM-1 was the result. It set the industry on its ear, and soon every other major SLR manufacturer introduced bodies as compact as the OM-1. Olympus milked its good thing for as long as it could, making OM-series cameras for 30 years. The OM-1’s specs go toe to toe with any SLR of that time. Its shutter operates from 1 to 1/1000 second. 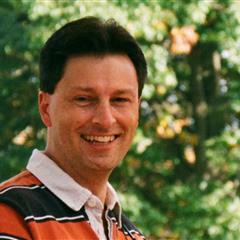 The camera takes film from ISO 25 to 1600. Its center-weighted average light meter is coupled to a needle in the viewfinder; when it’s horizontal, perfectly between the + and – symbols, you’ve nailed exposure. There’s a self timer; there’s flash sync. There isn’t, however, a built-in flash shoe. You had to buy one separately. The OM-1 is all mechanical except for a coupled, battery-powered light meter. Unfortunately, that meter takes the dreaded, banned 625 mercury battery. I substituted an alkaline 625A cell despite its slightly higher voltage. People keep saying that this throws off exposure. I suppose it could. But I shoot negative films with good exposure latitude, which probably makes up for it. The OM-1 has a few usage quirks. First, the shutter-speed control is on the lens mount. It’s supposed to make it easier to set shutter speed, and I’m sure that if I shot the OM-1 exclusively, I would agree. But so many cameras place that control on the top plate that I kept wanting it to be there. Second, the depth-of-field preview button is on the lens, not the camera. Third, when it comes time to rewind the film, don’t look for the rewind release button on the camera bottom. Instead, turn the “R” control on the camera face. My son came to visit for a few days. It’s weird to write that. Post-divorce parenting-time rules don’t touch a young man after he turns 18; he can see his old dad whenever the mood strikes. Fortunately, the mood does strike. He came for the weekend not long ago, and we went Downtown for dinner and conversation, just the two of us. 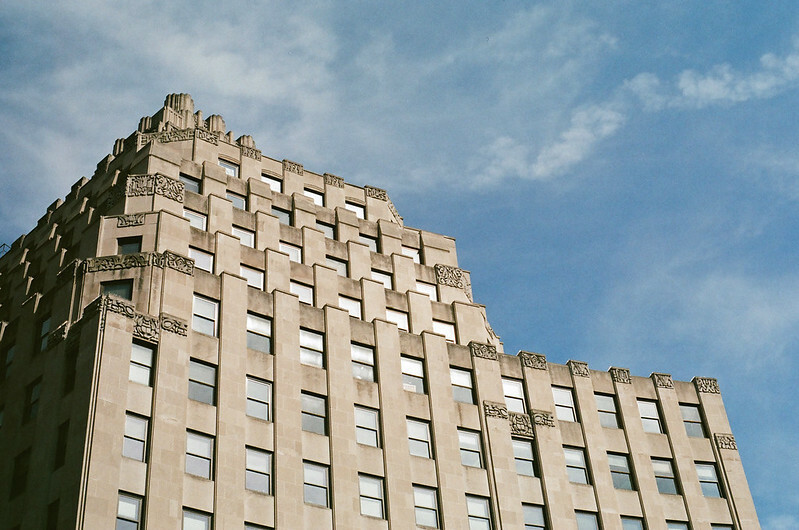 He loves the sandwiches at Potbelly’s, and there’s one in my favorite building on the Circle: the art-deco Circle Tower. Sandwiches aren’t a thing for me anymore because I follow a gluten-free diet. But Potbelly makes a great chili, so at least there’s something I can eat. We sat at a little table next to this wall. We walked around Downtown and talked. Occasionally I stopped for a photograph. 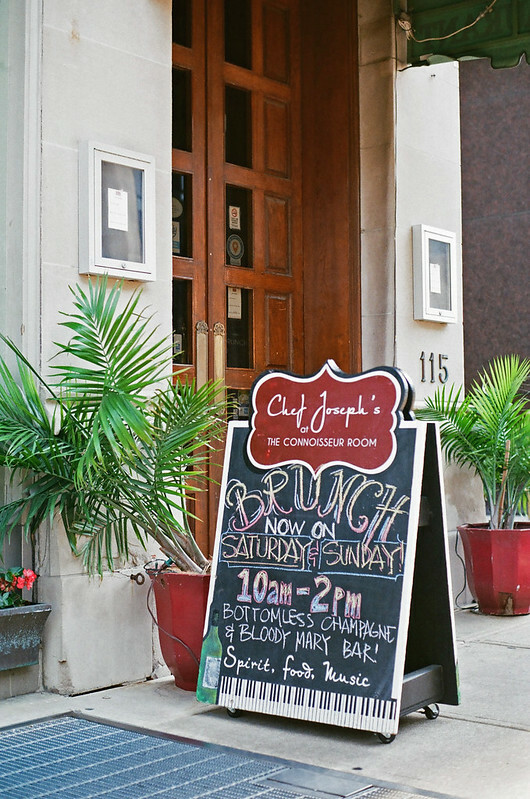 When my son was born, I worked a half block from what is now Chef Joseph’s. I can’t remember what was in this space then, but it was some other restaurant. There was something about being out and about together that was making conversation happen, and I wasn’t ready for it to end. So on the way home we stopped at Crown Hill Cemetery. 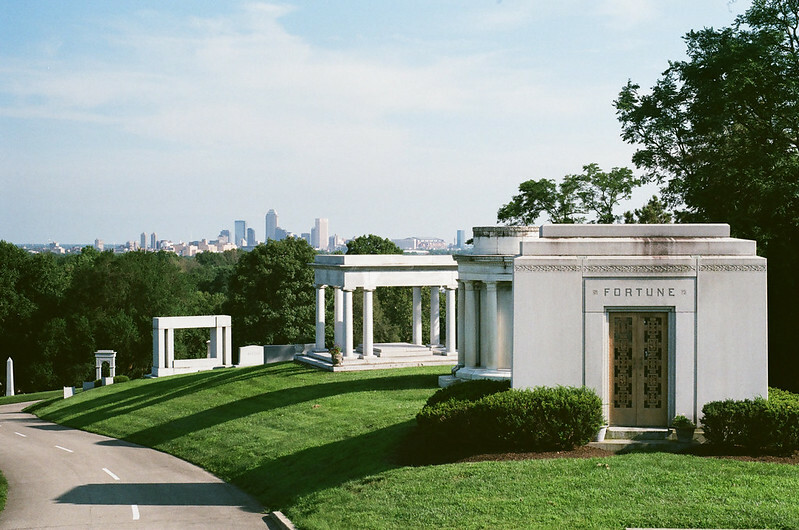 We went up to James Whitcomb Riley’s gravesite, at the highest elevation in Indianapolis. The day was especially clear, giving a great view of the Downtown we had just left. I finished the roll by myself. 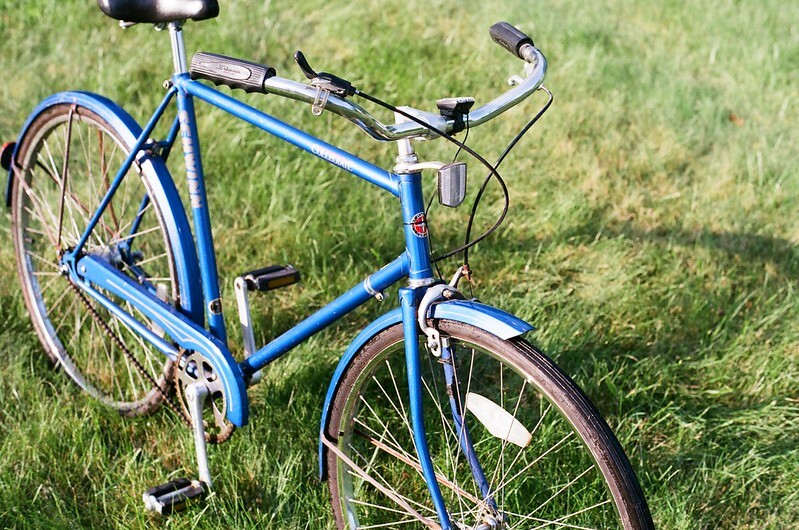 I rode my 1986 Schwinn Collegiate one afternoon with the OM-1 slung across my back. My destination was the cemetery near my home. It’s a relatively young cemetery and lacks the style of the old cemeteries I prefer to shoot. I shoot it anyway because don’t need my car to reach this one. 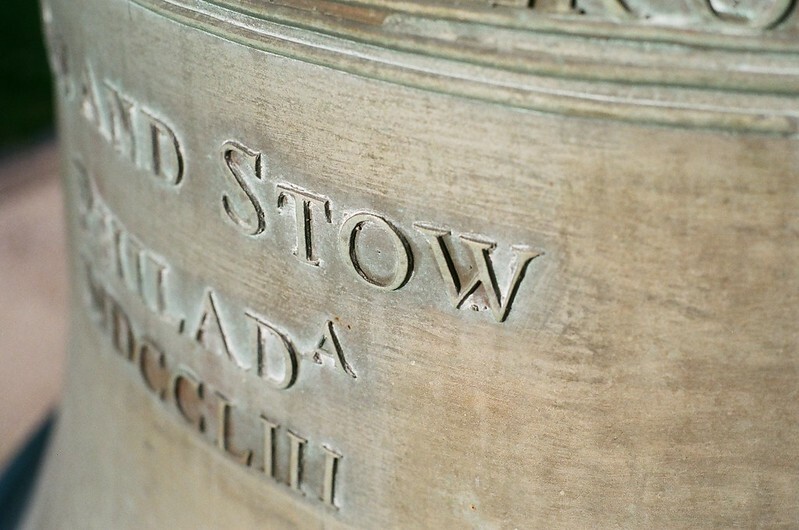 This replica of the Liberty Bell is inside. I’ve shot it a bunch of times this year. These two statues had a spat and are currently not speaking to each other. And finally, when at a loss for what to shoot, shoot the flowers in the yard. My coneflowers wilted away a couple weeks ago now, so this was probably the last photograph I got of them this year. 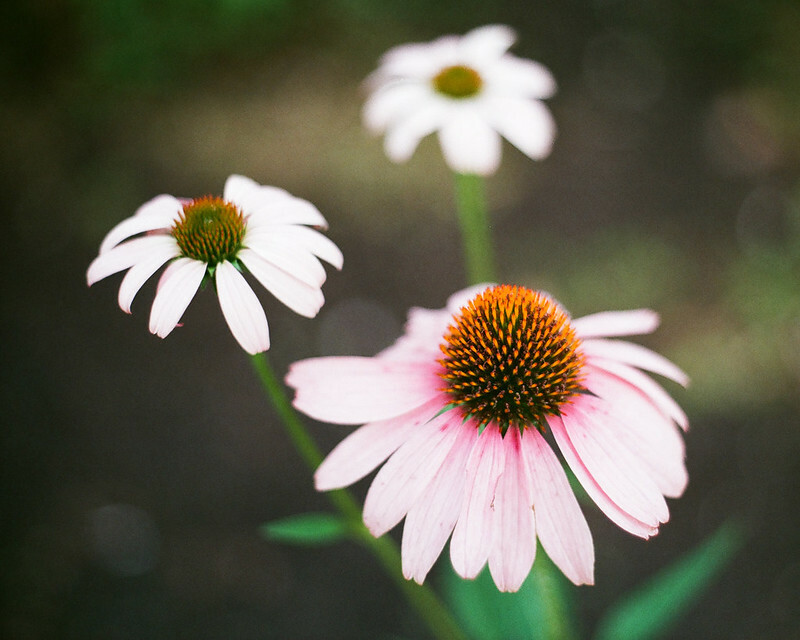 See more photos from my two Olympus OM-1s in my Olympus OM-1 gallery. The only thing I wished were different about the OM-1 was the on-off switch. I kept forgetting to turn the camera off, which keeps the meter running and drains the battery. I wished for the on-demand metering of some of my other SLRs, such as by tapping the shutter button or pulling back the winding lever. Everything else about using the Olympus OM-1 feels elegant and fine. It’s just a wonderful camera. The 50mm f/1.8 F.Zuiko Auto-S lens that came with mine is great; these results sing its praises. As SLRs go, this combo is light and easy to carry. When I finished this roll of film, I wanted to load another and keep going. Do you like vintage cameras? Then check out all of my old-gear reviews! 2. Sign up for a free blog. That’s what I did. No hosting costs. I do, however, pay WordPress.com for a few extras: (a) “domain mapping” so that blog.jimgrey.net redirects to my blog’s actual URL, which is jimgrey.wordpress.com (and I pay someone else for the jimgrey.net domain). (b) this theme, as it’s not one of the free ones, (c) an add-on that lets me edit this theme’s CSS and change its fonts and other minor customizations. But none of that is necessary for you to blog. Just sign up for free and get started. Thanks! Some lenses really love my dumb old Fujicolor 200, and this lens is one of them. 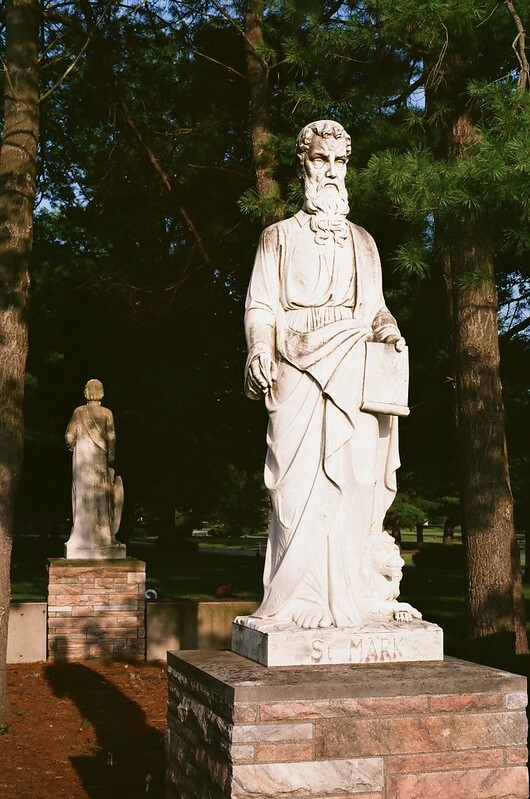 Go tiptoeing through my Flickr stream and you might find more graveyard photos from that roll. Click any photo to go to Flickr. Loved my OM-2s. The primary difference was that the 2s had an automatic function. I forgot I had left it in my disabled car on I-465. That was the last I saw of it. I still might try and pick up a used one for nostalgia sake. Ooh, ouch, sorry you lost your OM-2s. But you should be able to pick another one up on eBay for a reasonable price. Looks good. I ‘ve never yet to try anything from the OM system yet. I got a OM2 here that needs an On off Switch I think, somewhere. I think you’d enjoy these cameras. not found one a the right price yet just a matter of time. I have the cheaper OM model OM10. I feel fortunate that my OM-1 outfit was given to me. Two bodies (including this one), the Zuiko lens I used in these shots, and several aftermarket lenses. My favorite thing about this camera is the big and bright viewfinder. I don’t really care for the placement of the controls. Although I probably could get use to them. I do know many people who got this camera and remained loyal Olympus users for years. It is a good viewfinder. I’m sure that if either of us shot this camera exclusively, we’d get the hang of the controls! My older brother had an OM-1 he bought in the mid 1970’s. It was the first through the lens SLR I had ever seen. About ten years later, when I was taking my first college photography classes, I asked him if I could borrow it, and he let me. That’s where my love affair with these cameras began. I was amazed at the things I could photograph with it, and pleasantly surprised that I could shoot with gloves on. I returned the camera to my brother when I finished classes intent on getting my own SLR. At that time Canon was a highly regarded camera and I eventually ended up with a Rebel. The funny thing is, I now mostly shoot with a phone (I know, I’m a Philistine), but mostly because I have my phone with me. When my brother died a couple of years ago, I wanted to see if my sister-in-law would let me have the OM-1 as a remembrance of him. However, the circumstances of his illness and passing left her with way too many obligations and I have not had the courage to see if she still has the camera. I may just go out and get one of my own. George, I take a lot of photos with my phone, too — like 90% of the shots I share at Curbside Classic. It’s great having a thin, reasonably capable camera always in my pocket. If you want an OM-1, you could roll the dice on eBay, or you could buy one and one of these 50mm f/1.8 lenses from KEH Camera, http://www.keh.com. You’ll pay more at KEH, but there’s far, far less risk involved. 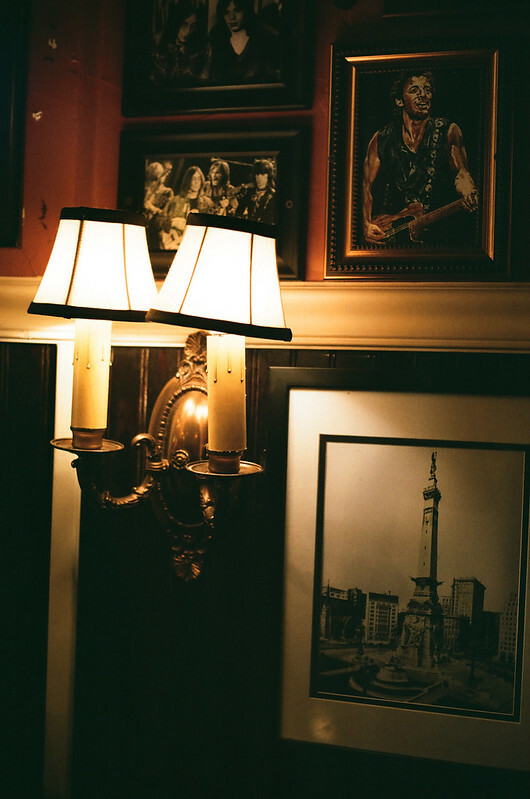 Excellent post and pics from one of the all time great 35mm film cameras. Nice work Jim, as always! the OM-1 never disappoints you :). btw, nice shots! I’ll bet you can pick up an OM-2 and lens for under a hundred bucks! That’s the great thing about old gear.